We are sold out of advance tickets for this show. There may be some limited standing room only tickets available once the show starts at 8:00 pm for $30.50. 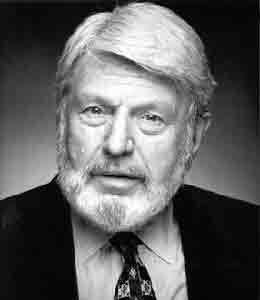 Living legend seems like a fair description for Theodore Bikel. He co-starred in A Streetcar Named Desire with Vivian Leigh and Laurence Olivier. The role of Baron von Trapp in The Sound of Music? He originated it. Movies? He appeared in The African Queen, My Fair Lady, The Russians Are Coming, The Russians Are Coming, and many others, including The Defiant Ones, for which he was nominated for an Academy Award. (And don’t forget 200 Motels.) As a folk singer, he had his debut at Carnegie Hall, co-founded the Newport Folk Festival, and up to now has recorded close to 20 albums, including one comprised of Soviet Jewish freedom songs smuggled out of the former USSR. Oh, and he’s also a political activist and arts advocate, a talented guitarist, and a fabulous story-teller. Merima Ključo is a world class accordionist who has performed as a guest soloist with such orchestras as the Scottish Chamber Orchestra, Holland Symphonia, and the Netherlands Radio Philharmonic Orchestra, as well as in productions at the National Jewish Theater, Bremer Theater, and Nederlandse Kinder Theater, and on the soundtrack for the film In the Land of Blood and Honey by Angelina Jolie. She worked with Theodore Bikel on the play Sholom Aleichem: Laughter Through Tears and in the group Serendipity 4. 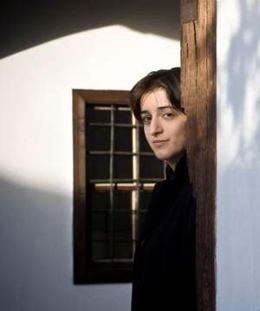 Her interest in world music, particularly the music of Bosnia, led her to record the album Zumra, in collaboration with Bosnian singer Amira Medunjanin. The Sunday Times of London named Zumra one of the top 10 world music albums of 2010. 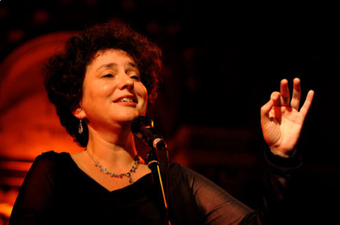 Shura Lipovsky is one of the best known singers of Yiddish and Jewish songs in the world. Born in the Hague to a Russian-Dutch Jewish family, she took an early interest in Jewish folk music, especially Yiddish songs, and studied singing at the Rotterdam Conservatory, under the tutelage of Margaret Honig. She left the Netherlands to study in New York with pianist and conductor Zalmen Mlotek and Jewish folk culture expert Ruth Rubin. There she also met Jeff Warschauer, a mandolinist and guitarist with whom she performs in the Shurele Yiddish Ensemble. Her albums include Heroes and Poets, Tsart: Tenderness in Word and Sound, and Moments of Jewish Life. You may watch live streaming footage of this concert at Saul’s Deli in Berkeley or online at Concert Window.